To do the drift dive specialties we recommend at least 2 days. On day one, you will complete the theoretical part of the course. Among other things, this involves watching a video and answering a knowledge review. your instructor will then go over the material with you in the afternoon. On day two, you will meet at the dive shop at an arranged time (usually between 7.00 and 7.30) and get ready for your dives. 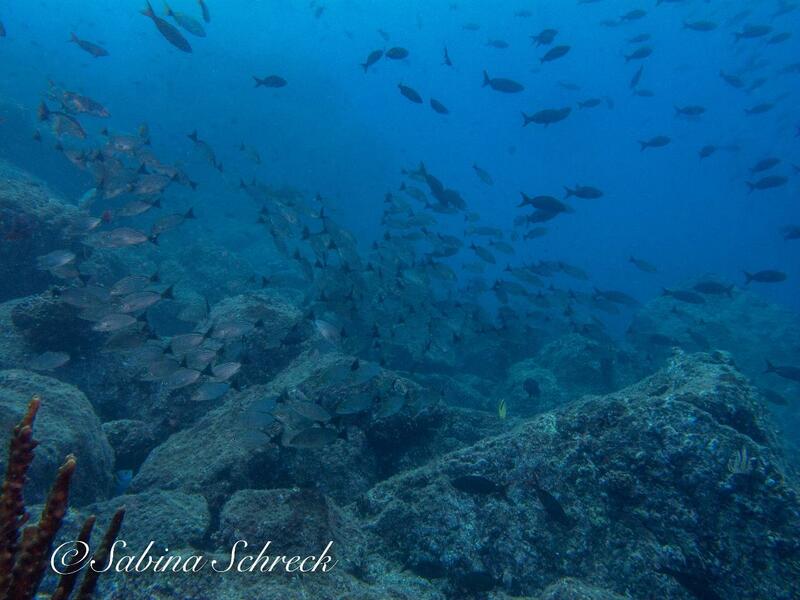 We depart to Coiba National Park, a boat ride of just over an hour, and find a suitable dive site. After the first training dive, you will stop at a beach for a little break and some fruit. Afterwards, we will do the second training dive. If weather conditions permit, you have the opportunity to add a fun dive for an additional $20. Please indicate if you´d like this option in your reservation. Prerequisites: If you’re a PADI (Junior) Open Water Diver who is at least 12 years old, you can enroll in the Drift Diver specialty course. Includes: theory, two dives, equipment, lunch and online certification.